Golf’s handicap system is the great equalizer in the game, but when it comes to someone just starting out, there are other conditions to meet. (I once took my wife to an 18-hole public course for her first-ever round, and when I asked her to pick up her ball because the tee box behind was getting crowded, it did not go over well.) We should be mindful of our playing partner’s abilities and how best to match them up with a venue that will help them succeed. That doesn’t mean beginners have to go to a mini-golf arcade to learn the game. There are plenty of alternatives to unleashing the uninitiated on a busy public course during peak hours just because it fits into your schedule. 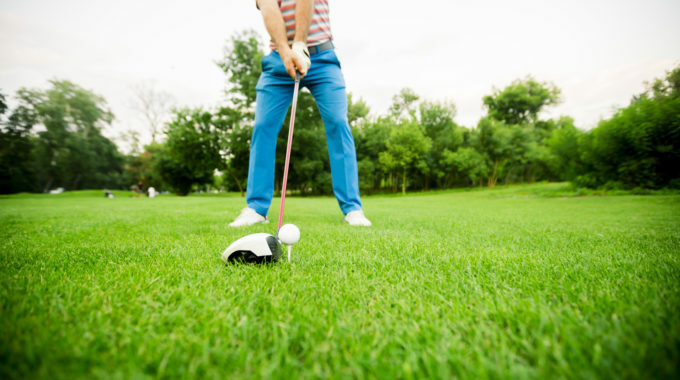 It just takes a little research (such as finding uncrowded times online, a par three/executive course or an 18-hole track with numerous sets of tees to appeal to all) for the beginner to feel comfortable and enjoy their initial rounds. Here are five great local golf courses for beginners. If you haven’t heard about the renovation taking place at Braemar, now would be a good time to check it out. The former 27-hole course transformed into a great 18 holes (scheduled to open next season), and the former executive course is now The Par 3 Academy 9 Golf Course. The Par 3, which was open all season, is equipped with two pin placements on each hole and offers an easier flagstick with larger 6-inch cups for the novice golfer. Together with the totally revamped driving range and training area, the par course at Braemar is the perfect Twin Cities course to get any beginner started in the game. Rush Creek Golf Club in Maple Grove is famous for its championship course with challenging holes and beautiful vistas, so they added a nine-hole course for younger players in 2012. The Mac Nine par three course is touted as family-friendly and a great place for bigger hitters to practice their short game. The course allows for plenty of lessons and junior programs — a great opportunity for learning the game. Soon, the beginners can take their improved skills out to the big course. The Chaska Par 30 was built in 1971 by the City of Chaska and is related to the Chaska Town Course, not far from the first tee at Hazeltine National Golf Club, where the last Ryder Cup Matches were held (and where it returns in 2028). The Chaska Par 3 is more than a par three course and has plenty to sink your teeth into if the beginners in your foursome are working to step up their skills. The Robert Trent Jones design has average-sized bent grass greens, wide fairways, and water hazards in play on five holes. Planning a little golf into family vacations can be a great way to ease a beginner into the game, and there are a couple great resorts in Brainerd to get the most golf out of a family trip. Madden’s on Gull Lake, in addition to the highly-rated Classic, is also home to the Social 9, which is billed as “a place to have some fun.” It’s a great place for the entire family to learn the game, or find another activity, so a beginner doesn’t burn out from too much too soon. They also have Pine Beach East and Pine Beach West, when those beginners want to take things to the next level. Just across the water from Madden’s, you will find Grand View Lodge with their award-winning Pines course (and The Preserve located just a little way up the road). But the beginner will want to check out the Garden Course, a beautiful nine-hole, par 35 (2,500 yards) with course 6-inch cups. According to the Grand View Lodge website, the garden course offers a “relaxing golf experience that is a perfect place for a fun group scramble or a chance for you to play nine with your family.” My wife enjoyed walking the course with our kids on a family vacation at Grand View — a much better experience than our first time playing together. The Garden course is currently under construction but will be ready for play next season. So, whether you find a course locally or pack up the car for a weekend away, you’re sure to find a course perfect for beginners and enjoyable for your more skilled players.